While the Kern River shares many of California rivers’ common characteristics such as granite, ponderosa pines, and pool-drop rapids, the Kern definitely dances to its own beat. First, it spends most of its journey heading north to south, rather than the typical east to west flow of Sierra rivers. Second, it is both the longest river and largest watershed in the Sierra Nevada. And to top it all off, the Kern River is one of California’s oldest river drainages. If you need more convincing than bigger+longer+older=better, then you may have to head to the Kern River to test out the numerous options for rafting and kayaking. 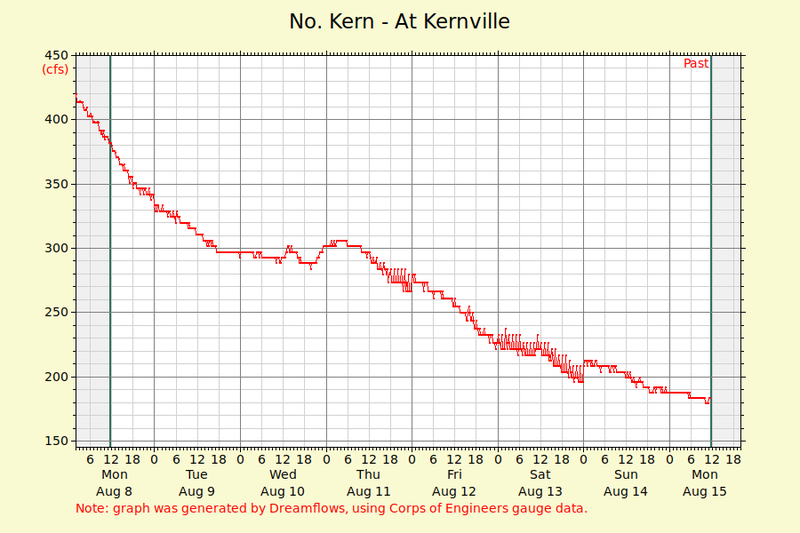 Some sections of the Upper Kern flow longer than others because of diversion tunnels and mini dams. Most of the water gets diverted back into the main river, and you don’t need a lot of water to enjoy the Kern River playpark, so even if the flows are low, you can go out and practice your eddy catching skills. The Kern River has every variation of whitewater for all skill levels. The river and its tributaries offer some of the most challenging and visually stunning whitewater in the world. The Upper Kern (North Fork) has over 20 miles of easily accessible whitewater for rafting and kayaking.